For the fans who want to get right to it–here are the updated Football Depth Charts … click here. 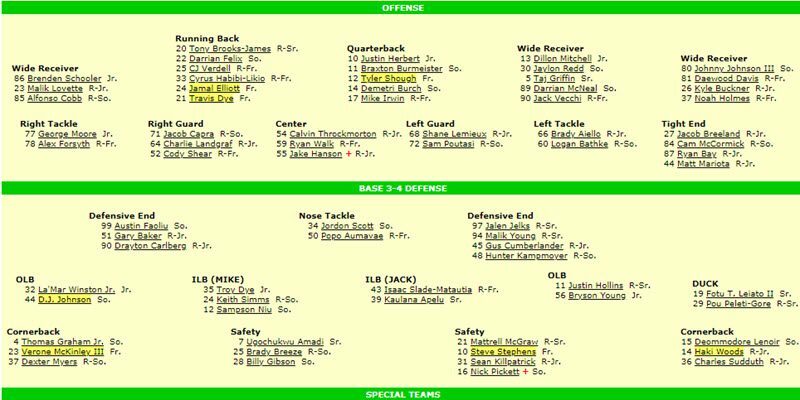 We roll-out a new feature, the “Updated Football Depth Charts” on FishDuck.com that we also have up in the Tool-Bar as part of the Drop-Down menu under the incredible 1,000+ piece Oregon Football Repository. It will make it easy to check the starters and who is challenging from among the newbies. It is updated weekly by a passionate Duck fan who is the best at providing information for all us, as he has for seventeen years. You will note on the depth chart–you can hover your cursor over a name and the picture and bio will appear, and that is pretty cool. Note also to the upper right of the offense that there is an archive of past depth charts, and that can be handy when doing research. Keep in mind that this is offered on a voluntary basis for free by Bill Ogden, ChileDuck, and is done on a best efforts basis. The line-ups are fluid and change day-to-day during spring and fall camps as I’ve noted starters listed in the Eugene paper the morning of the game and yet had different starters when I showed up at Autzen. Bill continuously checks many sources, and I’ve found his lineups to be the most up-to-date and reasonable. 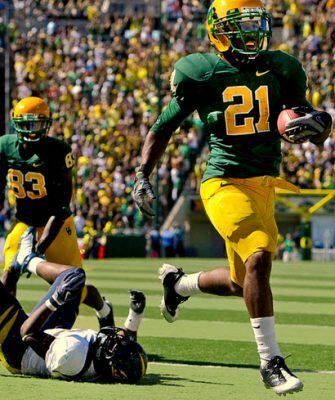 We are indebted to him since he began doing this clear back in 2001, and he is a part of Oregon Duck lore online for many of us. He has given so many hours as a labor of love for the fans and for our Beloved Ducks, and I wish to publicly recognize and thank him. Bill is retired from the Research Faculty at New Mexico State University in Las Cruces, New Mexico where he resides. 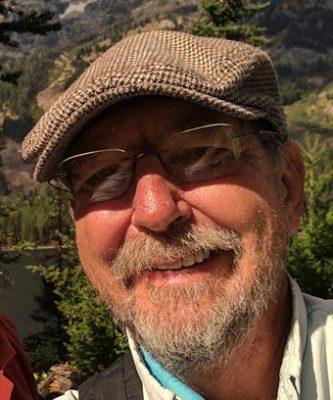 He grew up in Sheridan, Oregon and went to University of Oregon for his undergraduate degree–beginning in 1969. He went on to get his graduate work done at NMSU, and after a decade working for IBM as a Human Factors Engineer, came back to NMSU to research and report on “Human and Computer Interaction” and taught computer students how to make software more user-friendly. He went on to help develop software for the government, and enjoys “tinkering” with computer code now. His current project is creating software to help Oregon Track fans tabulate the results through a meet and project team results in real-time from the updated events. He and a group of Duck Track fans will travel to the national meets and when I spoke to him recently–he explained how he just got back from the Indoor Track Championships in Texas. Like so many readers on this site–Bill is a fantastic fan and really gives back to all of us and Oregon. 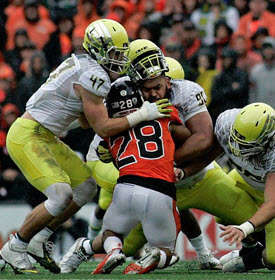 (Again–to see the updated Oregon Football Depth Chart … click here.